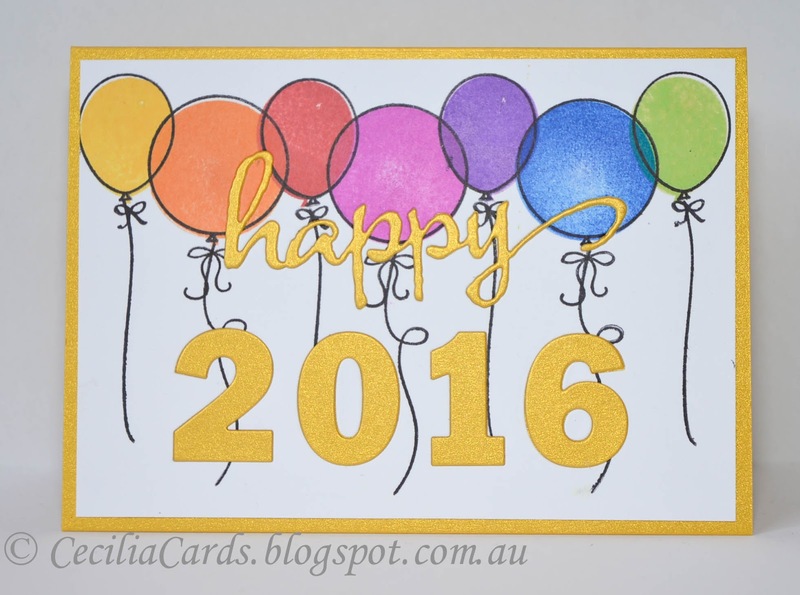 Cecilia's Cards: Happy New Year! A little bit late for Australia, but the other side of the world is still celebrating! Wishing all my crafty friends best wishes for the New Year!! 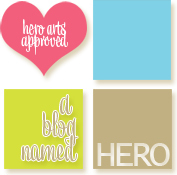 I'm adding this card to Simon Says Stamp Wednesday Challenge - Party! beautiful Cecilia. Happy new year to you. 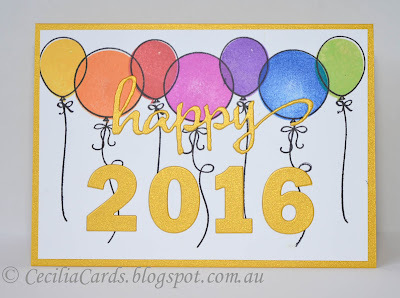 Love your colourful New Year card.